Melissa & Doug Doll Feeding Set Just $13.99! Down From $54! You are here: Home / Great Deals / Amazon Deals / Melissa & Doug Doll Feeding Set Just $13.99! Down From $54! Amazon has this Melissa & Doug Doll Feeding Set on sale for just $13.99 down from $53.76 PLUS FREE shipping with Amazon Prime or for orders $25 and above! 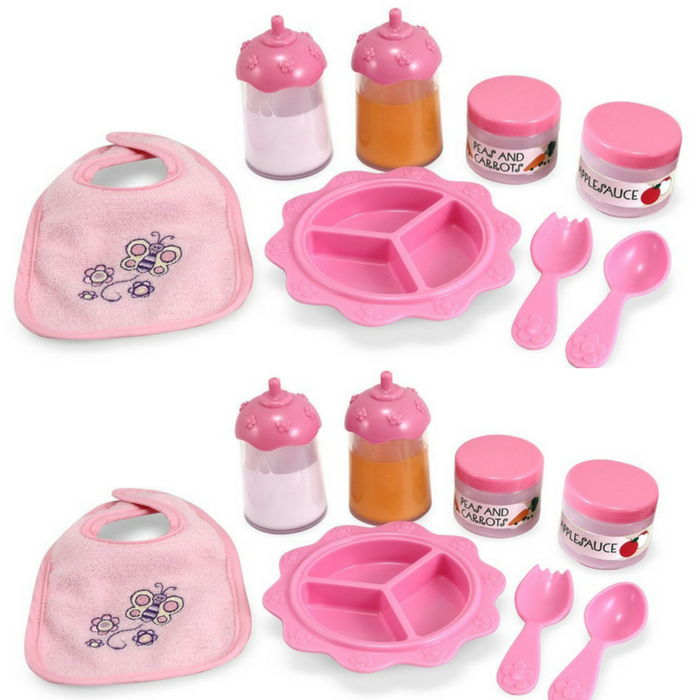 A great companion set for any of the Melissa & Doug Mine to Love dolls, this feeding set includes everything your little one needs to nourish baby. Strap a bib on, open up a jar of peas and carrots or applesauce, and choose a bottle of milk or juice for the pretend meal. A three-section plate, spork, and spoon complete the set. Kids will get a kick out of the ‘disappearing’ liquid in the bottles – a cue that feeding time is finished.